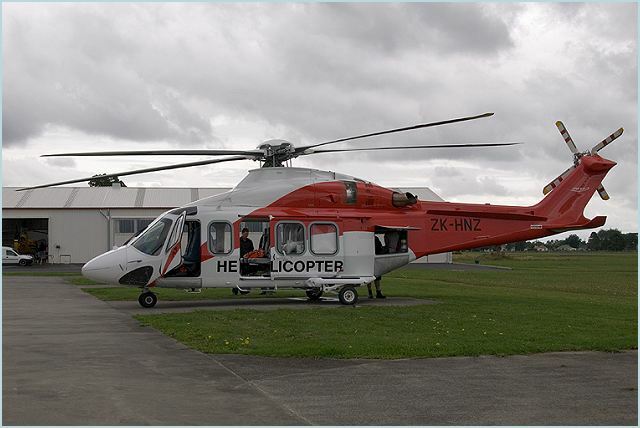 Chinese Company Qinghai Zhingao Natural Gas and Chemical Orders Two AW139 Helicopters. AgustaWestland, a Finmeccanica company, is pleased to announce that Qinghai Zhingao Natural Gas and Chemical of China has placed an order for two AW139 medium twin helicopters. The aircraft, configured for VIP transport purposes, will be used to support operations of a new general aviation subsidiary. The customer, following a rigorous assessment of operational capabilities, performance, technological features and cabin space, chose the AW139. One of the two helicopters will be fitted with a unique mixed VIP-utility configuration including a FLIR camera and rescue hoist. This aircraft will be operated in Gulmud, Qinghai province, Western China, which is at an elevation of 2,800 m (9,200 ft). The second AW139 will be operated in Chengdu, Sichuan province, Southwest China. This order continues the growing success of the multirole AW139 in China where the type has been chosen by various operators to perform law enforcement, disaster relief, civil protection, fire fighting and passenger transport missions. AgustaWestland’s success in the fast growing Chinese commercial helicopter market has resulted in orders for over 30 helicopters to have been placed in recent years. State-of-the-art technology, outstanding performance, low operating costs and the only helicopter in its class to meet the latest safety standards, have made the AW139 the helicopter of choice in the medium twin market. Over 560 AW139s have been sold in more than 50 countries to almost 160 customers for many roles including VIP/corporate transport, passenger transport, law enforcement, fire fighting, offshore transport, search and rescue, emergency medical service, disaster relief and maritime security.